The Esplanade presents Hyper Japanesque, an exhibition of works by eight Japanese contemporary artists. The show underscores how Japan is progressive and yet hangs on to tradition, and how its people have been impacted by shifts in society and recent crises such as the Fukushima nuclear disaster. Irie takes the portraits found on bank notes and creates three-dimensional forms of them. This is her attempt to increase the value of the notes, as these portraits are sometimes overlooked. 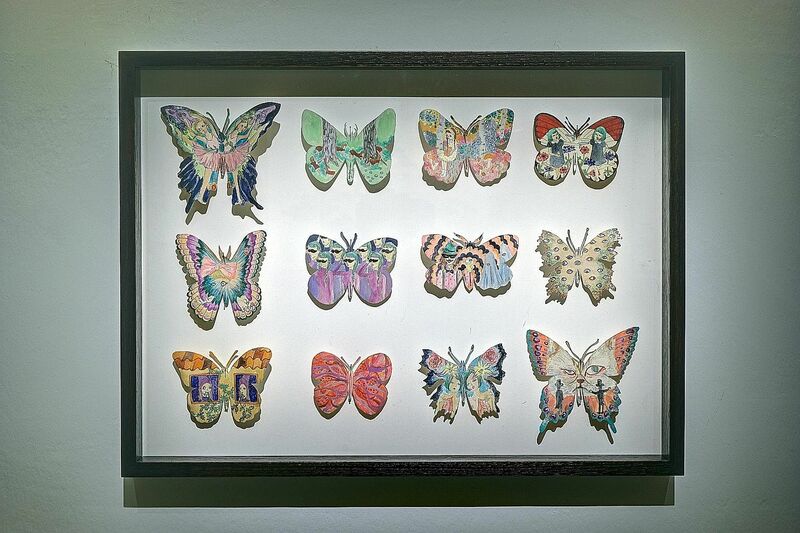 Tokyo-based artist Ozasa's beautiful butterfly specimens contain deeply emotional stories when viewed up close. They are her attempts to portray the different emotions that one experiences in times of difficulties. Humorous and energetic, Masumoto's ceramic works feature motifs that protrude from their vessels instead of merely being decorative. 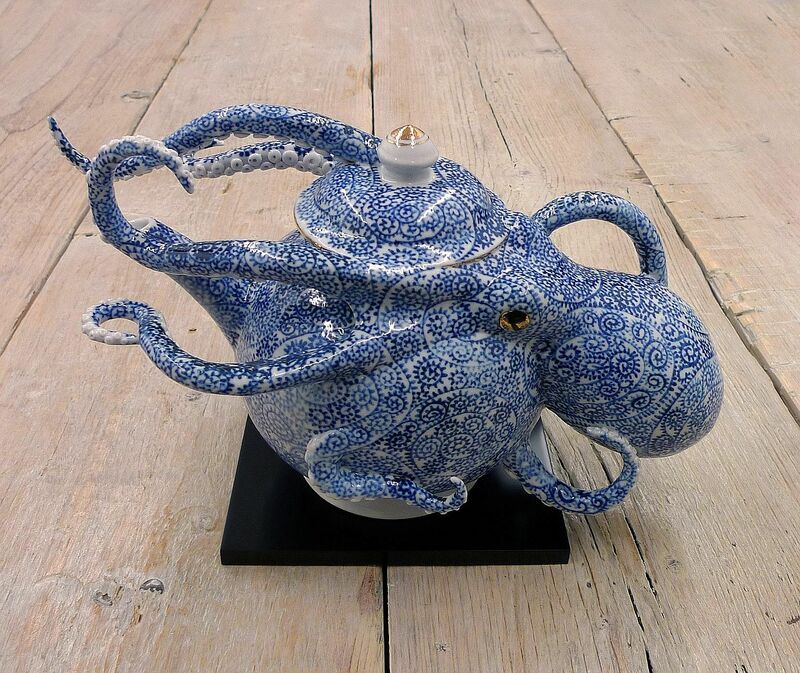 Though the work is modern and kitschy in form, she paints it in a traditional Japanese arabesque style. Product designer and sound artist Okamoto's work highlights people's interconnectedness with nature and the elements around them. 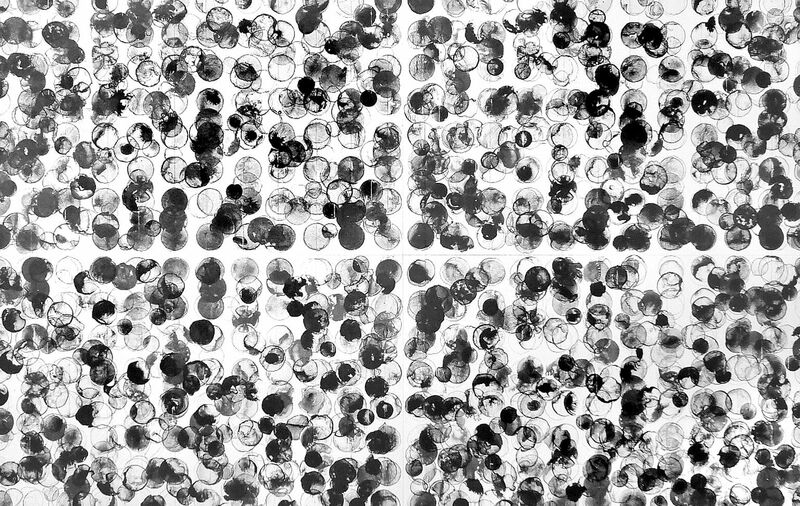 Sounds of raindrops hitting an umbrella are transmitted through vibrations in the umbrellas placed on top of speakers. 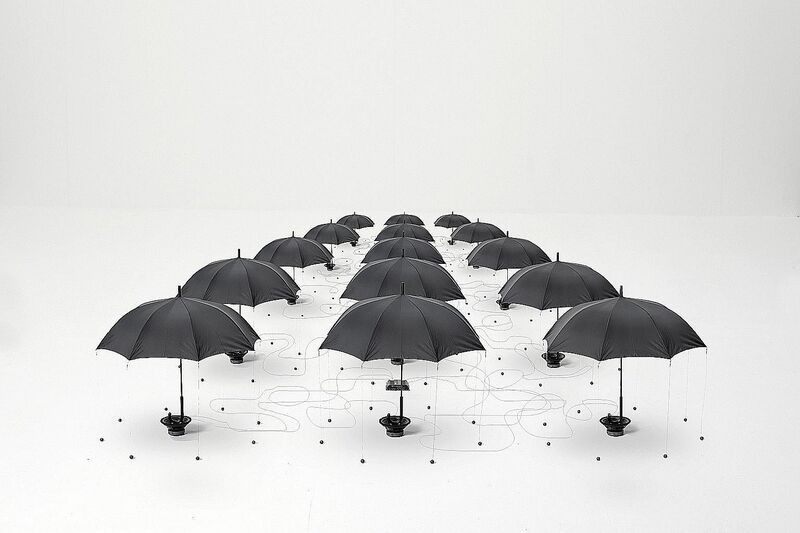 The sounds are created by striking a balance among the magnetic force of the speakers, weight of the umbrellas and the sound pitch of the recording. 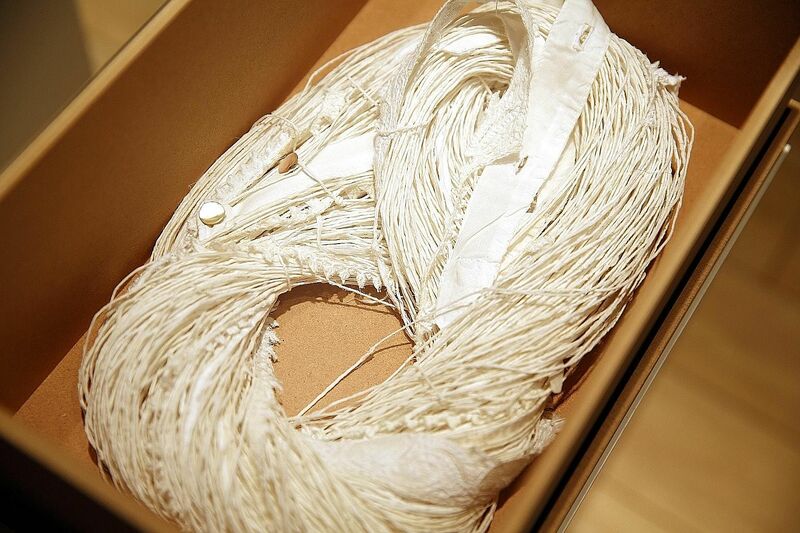 This work, dedicated to Yoshimoto's late friend Emi Fukuzawa, consists of threads from Fukuzawa's old Indian cotton shirts, which still bear stains and dirt - a reminder of her existence. The artist's works are often inspired by memories attached to old things, such as one's clothes and books. Hasegawa finds print-making similar to the experience of recalling memories. Her work, while two-dimensional in form, conveys texture and a sense of depth, which shows how she has been influenced by her early studies in dressmaking and textiles. 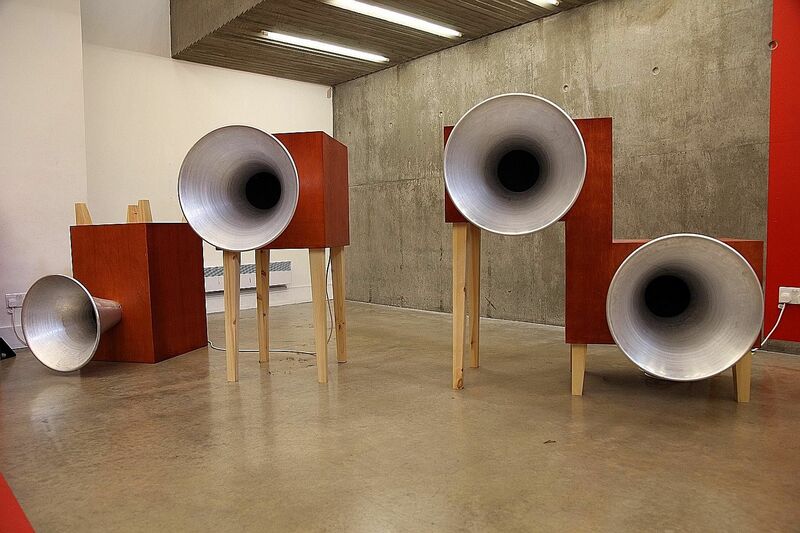 This installation by Suzuki, a sound artist, designer and electronic musician, relooks the traditional relationship between people and sound by allowing voices and sounds to be distorted through different-sized speakers. The title refers to Luigi Russolo, an artist from the Futurist movement in the early 20th century who introduced the idea of noise-sound, where sound meets noise in the age of mechanisation.